By Brigid McConville © 1998, Reprinted from The Independent: Education (UK) with Permission. As all too many parents know, the quest for “solutions” to dyslexia can be a long and frustrating one. But now a new teaching method – in which dyslexics model key words in clay – promises to put an end to the problems of dyslexia once and for all. The Davis Dyslexia Correction Programme, which was devised in America in 1982 by Ron Davis (himself a dyslexic), has come to Britain where it is rapidly winning converts. The programme, essentially a week’s one-to-one tuition with follow-up work to do at home, claims an extraordinary 97 per cent success rate. Its basic premise is that people with dyslexia have a special gift: they think mainly in three-dimensional pictures rather than words. This means they can be immensely talented but that they cannot think with abstract words. Every time they read words such as “a” or “the” (which they can’t picture), they experience a mental blankness. As these blanks accumulate, confusion sets in, causing “disorientation” (distorted perception) as they try to make sense of the two-dimensional words in front of them. Davis’s training starts by showing dyslexics how to control their ever-roving “mind’s eye” or imagination. Once they can stay focused – “on point” – they begin to work through the alphabet, removing confusion by making each letter three-dimensionally in clay. Once they have got the hang of this, and have “mastered” punctuation marks (called “road signs” in reading), they set to work in the same way on “mastering” all the abstract words in our language. There are 217 of these “trigger words” (because they trigger confusion) and Davis’s clients simultaneously model not only the letters of each word in clay, but their own chosen image of its dictionary definition. The word “which” might be modelled as a little figure standing at a crossroads; “together” might be a couple holding hands. Then the client speaks the word aloud, “telling” its meaning. In this way (the theory goes), the three parts of a word – meaning, sound and written form – become united, those disorienting blanks are replaced by images and the dyslexic finally gets the full picture of what is on the written page. “What we are about is creating new neural pathways,” explains Hilary Farmer, who became the first licensed UK Davis facilitator in 1997. Farmer, with an MA in Education, has 12 years’ experience of teaching in FE and has specialised in working with dyslexic students. She also has a dyslexic daughter of 19 who has recently completed the Davis programme, which is available to anyone from eight to 80. The Davis method also claims to “correct” Attention Deficit Disorder, dysgraphia (handwriting problems), dyspraxia (co-ordination problems) and discalculia (maths problems). At around £1,000, the programme is not cheap, but it is nonetheless in great demand and Farmer currently has a six-month waiting list. (By the New Year she will have two qualified colleagues to help her out, with 30 more Davis trainees in the pipeline.) She stresses that it is no use parents dragging unwilling children along for a “cure”; each client has to be willing and highly motivated. And most, she says, “respond with overwhelming relief that at last someone has understood them”. First published in The Independent: Education (UK), 16 January 1998. Hilary Farmer, the Davis Facilitator quoted in this article, retired in 2009 after providing Davis programmes to successful clients for more than 12 years. McConville, B. (1998). 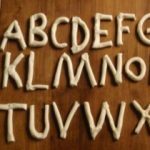 I can see clearly now: beating dyslexia with clay. Retrieved April 21, 2019 from Davis Dyslexia Association International. Dyslexia the Gift website: http://www.dyslexia.com/?p=2170.